When you first enrol yourself in a cricket academy these days, you are taught the basics. For batting it will be the grip and then how to play the ball in front of your eyes, thrusting the pads forward. If you are a bowler you will be told to tuck your left arm in, while hurling the deliveries. For a spinner, it will be how to rotate on the toe after the landing. Though you need to know the basics to play a game of cricket, some have shunned them and went on to achieve huge success in the game. 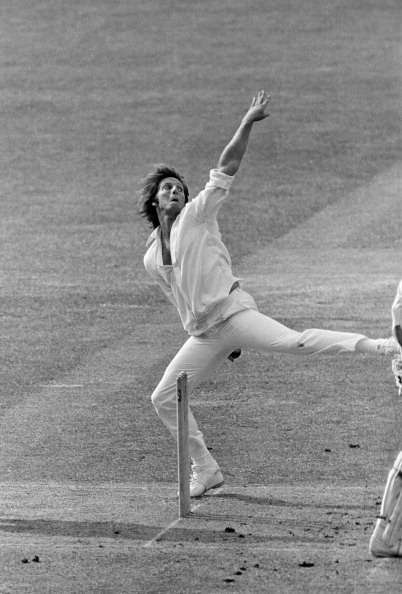 In this piece, we list 5 bowlers who are successful yet have very ugly actions. Some of them are legends, others have just made their way into international cricket. Thomson had a sling-shot action. He used to run in and almost like a catapult used to hurl the leather at the batsman. It is said he developed the action by watching his father, Don, who bowled the same way. Jeff also had two brothers who almost bowled with the same action having picked it up from their father. The sling shot action helped him generate a lot of pace and steep bounce. Till date, Thomson remains as one of the fastest bowlers in cricketing history. He had such pace that once Greg Chappell refused to bat against him. In a Test match in 1975 ‘Thommo’ as he was lovingly called clocked a speed of 160.45 kmph and a year later he bowled one at 160.58 kmph. Thomson played in 51 Tests and had collected 200 wickets with the slingy action.